Place chickpeas, avocados, herbs, lemon, garlic salt, pepper and olive oil in the bowl of a food processor. Puree until very smooth and fluffy, scraping the sides down with a spatula as needed. Taste and adjust seasoning, if necessary. 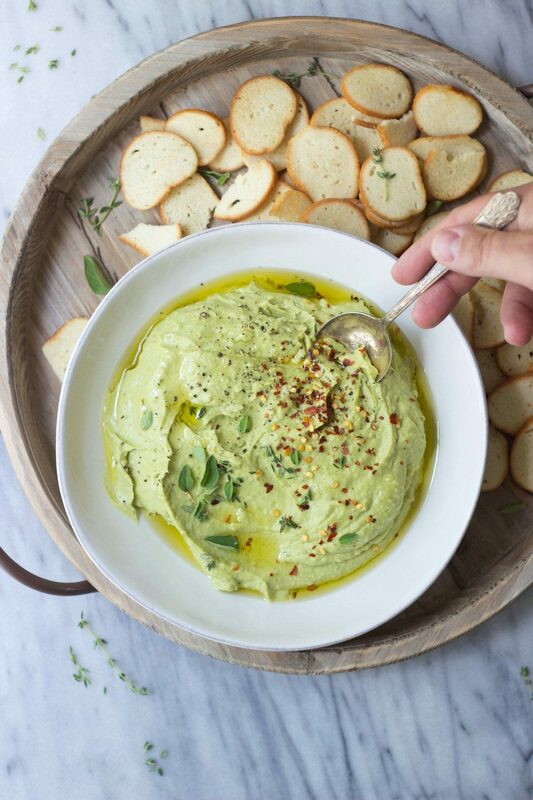 Serve the avocado dip with an extra drizzle of olive oil and a pinch of red pepper flakes. Garnish with herbs, if desired. Serve with bagel chips, pita, crackers or crudités.